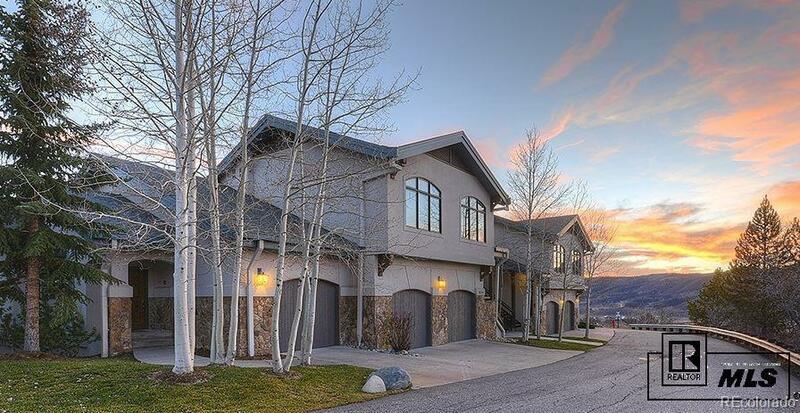 Ski-in/ski-out townhome with attached 1-car garage at the coveted Trails at Storm Meadows. The perfect combination of townhome privacy with the amenities of one of Steamboatâs finest complexes. Three bedrooms, three bathrooms on two levels with two living spaces: open great room and lower level family room or bunk room. The elegant master bedroom is located on the main level with gorgeous glass enclosed shower, jet tub and double vanity. Two bedrooms on the lower level, laundry closet and walk-out patio with private hot tub. Gorgeous ski area views from upper level balcony. This unit is conveniently located close to the clubhouse featuring year-round outdoor pool and hot tub, sauna, tennis and athletic facilities.